Highly Cited Researchers 2014 represents some of the world’s leading scientific minds. Over three thousand researchers earned the distinction by writing the greatest numbers of reports officially designated by Essential Science Indicators as Highly Cited Papers—ranking among the top 1% most cited for their subject field and year of publication, earning them the mark of exceptional impact. 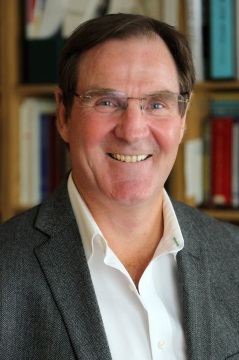 The lone professor from a Canadian institution cited in the Neuroscience and Behaviour category is Alan C. Evans, Professor of Neurology and Neurosurgery, Medical Physics, and Biomedical Engineering. The second McGill professor on the list is Chemistry professor Chao-Jun Li who is among four highly-cited chemists in Canada. Dr. Li is the E.B. Eddy Chair and Canada Research Chair in Green/Organic Chemistry. The following new faculty recruits join Anita Bellail and Charlie (Chunhai) Hao, who were recruited to The Neuro last year from Emory University in Atlanta, Georgia. Dr. Bellail is an Assistant Professor in the Department of Neurology and Neurosurgery, and a researcher in the MNI’s Brain Tumour Research Centre. Dr. Hao, an Assistant Professor in the Department of Pathology, is a neuropathologist whose research focuses on genomic diagnosis and targeted therapeutics for cancer. Dr. Rami Massie is an Assistant Professor, Department of Neurology and Neurosurgery, McGill University and Attending Neurologist, Department of Neurology, McGill University Health Centre. Dr. Massie, who joined the staff in July, is responsible for neuromuscular clinical and EMG activities. Dr. Jason Karamchandani, Assistant Professor in the Department of Pathology joined The Neuro’s staff in July as a Neuropathologist and Director of Experimental Neuropathology. Dr. Karamchandani was recruited to Montreal from St. Michael’s Hospital and the University of Toronto. Dr. Gassan Massarwah, Associate Professor, Neurology and Neurosurgery, is the Director of Cyclotron & Radiochemistry Production. Dr. Massarwah joins The Neuro from Research Centre of the University of Montreal Hospital Centre (CRCHUM) where he directed the CRCHUM-Pharmalogic PET Services. Lucy Wardell, N, MSc(A), MSCN rejoined The Neuro staff earlier this year as Nurse Manager for Ambulatory Nursing Services. Previously Ms. Wardell was the Clinical Nurse Specialist for the Multiple Sclerosis Clinic.